We’re searching for an electric individual to join our company and create our new design department. Increasingly, our clients are searching for a “one-stop-shop” to provide design and build services and who are we to deny them? This year we’re taking the plunge and searching for the right person to make this happen. 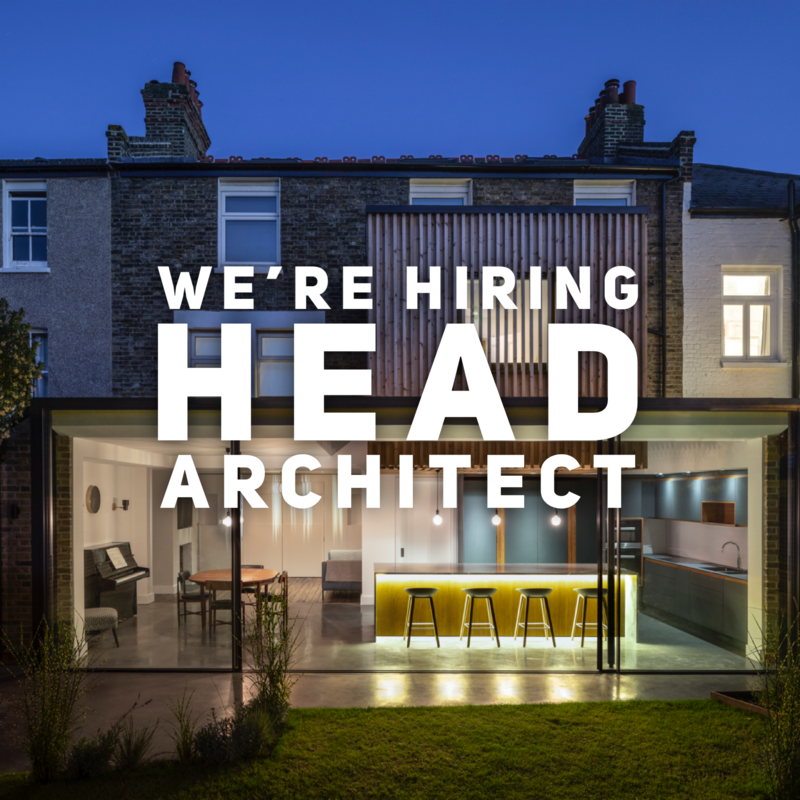 Multi award-winning construction start-up are searching for an ambitious, commercially minded and driven architect looking for something different to head up our new design department. We are a multi award winning construction company specialising in mid / high end residential projects in southwest London. We are seeking a fully qualified architect to join us to create and head up the in-house design department inline with our company development plans. Whilst we are developing the design side of the business, you will be expected to split your time across both design and project management roles in the business and will be responsible for between 1 and 4 projects at least in the initial stages of your career here. Running 1 – 4 residential refurbishment and build projects simultaneously. Regular communications with your clients, planning authorities, engineers, build team, consultants etc both as a project manager and architect. Single handedly take design projects from initial meeting through to completion including understanding the clients needs, survey, planning application, developed drawings, form schedules of works etc as well as on going design services once the project is on site. Interested in finding out more? Please send your CV to ross@orchestrateltd.com with examples of your work and a covering letter. Due to the interest we receive in our positions, please do not call the office about this role.